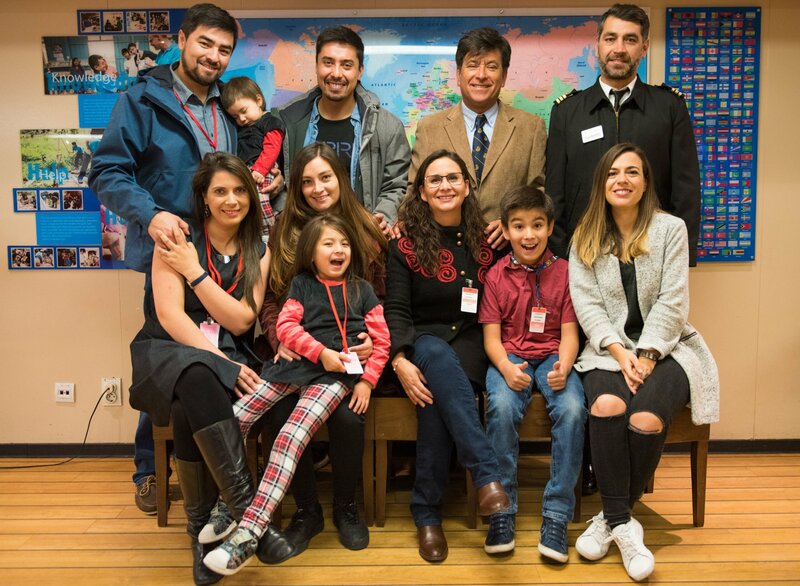 Punta Arenas, Chile :: Cristian Montaner (Chile) and his wife Kerstin (Germany) are joined by members of their family, who live near Punta Arenas. Bahia Blanca, Argentina :: The Ori Tahiti passion group dances during an event on board Logos Hope. Punta Arenas, Chile :: Elaine Heuvel (Unietd States of America) reads part of her travel book during an art event on board.